Do you suffer from a lack of Energy? 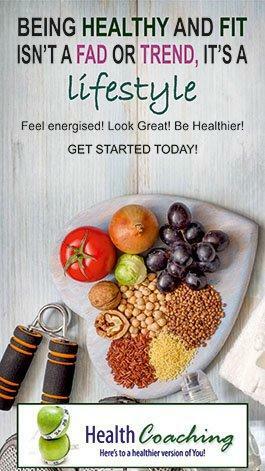 Are you feeling run down, needing more energy in your life, feeling negative about yourself recently? Do you struggle to get up in the mornings, or is it big energy slumps in the afternoon that affect you the most? We push ourselves towards exhaustion by constantly rushing around trying to meet all our obligations and the demands placed upon us, treating life as though it was an emergency. We’re always dealing with other people’s problems, taking on more and more responsibilities, working every minute we can, and yet never taking time just for ourselves. There can only be one end result of all this turmoil and activity in your life. One of the major health issues affecting people today is lack of energy. And when you are worn down, if you don’t find the time to rest and rejuvenate, the problem is going to get far worse. But it would be crazy to let this get to that position, right? Most people don’t have enough energy or vitality to live life to the full. I am sure you don’t want to feel drained, exhausted and stressed out all the time. Sufficient energy is essential for optimum health and wellbeing. Maybe you have realised you’ve got a problem and searched for an answer. Maybe Google sent you my way. Well I won’t let you down. Mind and body wellness has to be a priority. It is to me, as a blogger, life coach and leader. If you fall ill or burnout, then your plans and dreams could crumble away. It takes everything away from you. I don’t want this for anyone. You have to perform at your best, so you are able to follow your dreams. To do this you need a bucket full of energy. Today I want to provide you some information to help you immediately begin to deal with this situation. What I do know is how common a problem this is. How many of you have had days where you catch yourself running around like a headless chicken trying to get things done and can’t seem to find enough time in the day to accomplish it all? Many of you end each day feeling exhausted, reaching the safety of your home after a hard days work with only enough energy to drop into bed. The next morning you find yourself still feeling tired, exhausted, desperate to find energy from somewhere. A life full of energy is not as hard to attain as you may have thought. Let me provide you with 8 steps that will help you achieve an unbelievable level of energy that will keep you empowered always. 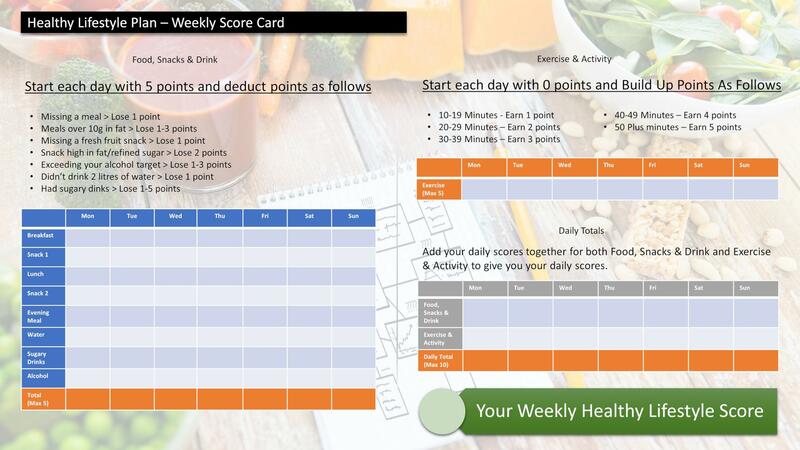 Step 1: Evaluate – take inventory of your life, your daily habits, your relationships, your work, your thoughts, your eating habits, sleep patterns, exercise routine or lack of, and really look at what is working and what isn’t. I encourage you to take a good look at your life; physically, emotionally, mentally. Do you have something that is not aligned with your higher aspirations? If so, let it go. The results will be more than worth it! Look for what things are sucking the energy out of you. Who or what in your life would you consider are the energy zappers? By determining what these are you can make better choices, so to boost your energy. What is pulling you down? What’s exhausting you? Step 2: Eliminate – Now it’s time to start making changes! Once you have determined your energy zappers, you can move forward by eliminating them from your life. If you can’t completely remove them, you can at the very least plan how you can reduce their effect on you, to no longer allow them to drain so much energy from you. Often at home and at work, we lack boundaries and balance around our time. We work through lunch, don’t take breaks, and do not allow ourselves uninterrupted time. We say “yes” to everything. So how much energy can you save by just saying one simple word ‘no’. Step 3: Educate/Empower – Stress constricts our energy and drains us of our vitality. The right effective techniques will help alleviate the blocks to our flow of energy and thus enhance our overall feelings of wellbeing. Taking time out to focus on you is healing, empowering and will help you to maintain peace in life’s daily challenges. You need to take the time to explore stress management techniques that will help you become empowered, motivated and inspired. Education gives you the tools and the power to move forward. I will start your journey by giving you links to articles I’ve written previously of the best stress management techniques that will help you greatly. Step 4: Enhance – In this context I mean to intensify or increase in quality, value and power yourself. This can be achieved by what you put into your body. You get to enhance your life increasing your energy by choosing the right foods, drinking pure water and filling yourself with positive and supportive thoughts. i. It’s important to get a balance of food types. A combination of carbohydrates, protein and fat helps moderate blood glucose absorption so that your blood sugar rises gradually. You need to avoid your blood glucose levels rising and dropping quickly, leaving you hungry and low on energy within an hour or two after eating, which is caused by eating simple carbohydrates alone. Similarly, if you only eat protein, you’ll get calories but they won’t kick in fast enough to make you feel energized because your meal’s missing that carbohydrate energy boost. So with every meal you need to get a balance of complex carbohydrates and proteins. Raw food is fantastic for you as it still contains all the nutrients which get lost in the cooking process. So eat plenty of fruit and vegetables uncooked. ii. A mistake made by many is not making the time to eat breakfast. Getting a healthy breakfast will help you perform and feel better all day long. And it boosts your metabolism too. So if you want to feel energised all day long this is the place to start. iii. It’s actually important to keep filling your body with fuel. So let me suggest an eating schedule to you that will ensure you keep your mind and body fully energised. Eat breakfast, have a small snack around mid-morning, then lunch, followed by a mid-afternoon snack and, finally, dinner. To feel energized throughout the day, your blood glucose level should stay within a certain range. If your blood glucose drops too low, which can happen if you go too many hours without eating, you could feel lightheaded and lethargic. By eating every 3 hours or so you are ensuring your blood glucose level is staying at its optimum level. Eating small, healthy, frequent meals keeps a constant flow of energy. iv. Drink at least eight, eight-ounce glasses of water each day. Your system needs plenty of water for optimal performance, and one of the reasons people are often tired is because they’re dehydrated. Step 5: Exercise – The truth here is if you don’t give energy, you will not get energy. “Move it or lose it”. Physical activity is essential to good health and peak performance. GET MOVING! There is nothing like a regular workout or exercise routine to boost your energy levels. It also helps our body refresh and reenergise the blood flow through capillaries that bring oxygen to cells. The more oxygen our cells get the increased efficiency of energy production. Going for a walk during your lunch break even for just five or ten minutes helps one steer clear of afternoon slumps which tends to hit most of us. Exercise does not have to be boring or hard! Think of something you would actually enjoy for example dancing, swimming or yoga. Step 6: Escape – Find time to “restore” by getting enough sleep. This is the time to recharge your batteries to ensure that every morning you can come back to your activities with a fresh mind and rested body. If you want to operate at peak performance the average person does best on 8 1/4 hours per night. Step 7: Inspire – It is important to explore what excites you, gets you going, the thing that you want to be actively pursuing every minute you can. This is your number 1 Dream and it’s something you need to actively be taking steps towards it each week. A sure fire way to get those juices flowing again it to set yourself a challenge or a goal that get’s you totally excited at the thought of achieving it. What would you love to achieve before the end of the year, what is one thing that would really excite you? Give yourself a deadline and get planning on how you are going to achieve it. Step 8: At Peace – Above I put you on a journey of discovery, to acquire new learning. I introduced you to a few stress management techniques. One of these is meditation, it not only helps to rest your body, and your mind, it helps you feel at peace. And to me feeling at peace, on a regular basis is a key necessity to energising yourself. One of my other favourite ways of doing this is to escape back to nature. Whether taking a walk through a beautiful forest or along a beach, getting back to nature, getting myself out into the fresh air, is a brilliant energy boost, and something you must do on a regular basis. Now it’s up to you to take action. Learn more about how to fully energise your life by attending our 6 week Energy for Living Program where I can support you in gaining all the tools to re-energise your life! We look at all aspects of you – your mind, your body and your spirit. Only by looking at all of these aspects can you really fully energise your life. Now is the time to banish the energy drainers and reach out for new heights of living. Thank you Larry for your article I agree with everything you say and I know all these things already, there was a time in my life when I just could’nt make it through the day without feeling like i was pushing a boulder up a hill all day. I researched around food and I found via a blood test that I had food intolerances, I eliminated these foods gradually in a controlled way did as you say kept the blood sugars level by combining protein and carbohydrate and havibg healthy snacks like seeds, humous on a rice cracker etc. and I felt great, I lost the weight I put on, I got throught the day without having to take a nap, but I have slipped back into tne old ways, weight has piled back on, and my head has felt like it has been full of cotton wool for ages. A lot has been going on for me and I pursued my worldly dreams at the expense of maintaining my health which all takes time, but without it you can do nothing. I have raised my energy levels recently I have attended to my diet, but for me it was the spiritual and as you also say the mental aspect that has raised my mood levels sense of wellbeing and energy. I know you are a strong advocate for Rhonda Byrne’s book The Secret ,well on my way to work I came across her book Magic, and its all about saying thankyou she has daily exercises to thank different aspects of all areas of your life. And I have been saying thankyou a lot and doing my best to really feel it and it has helped, and I have noticed how ungrateful some people can be and how they take just about everything for granted, are these people happy no they have severe health problems! It has realy made me think, and stop, and appreciate what a wonderful world we live in. The second thing was I went on a pilgrimage to Glastonbury,not to the festival but to the tor and to The Chalice well Gardens where the water is said to have healing properties, it is a peace garden. There was a conference on and I “happened” to be in Glastonbury then, so I signed up for the day and to a workshop about telling your own personal story, and in this workshop I made a commitment to moving my own story forward and to sharing it with others for healing and well being, we were out in the gardens my feet were standing on Mother . Earth bare and rooted. When I got back to the people I had spent the morning with they commented on how lighter I looked and yes I felt great I was buzzing whereas in the morning I had been my usual flat self. I was going to go and work with a lady who I knew would bring me down so I asked my angels to help with this and they sent me a gentleman who told me to close down my chakras , as a healer I know about these things, I know a lot really but its absolutely no good knowing it if you don’t do it. So I did And I have survived I would like to thank you again for reminding us where we know these things, but have stopped doing them and also for the information we don’t know and can corporate it with what we do . Health is not just about the body,the mind or the spirit, its about all three and you incorporate the whole beautifully in your teachings, lots of love and light for you, angel blessings, Jill. Thank you for sharing your insights, what is say is very true, I like the five E’s – Evaluate, Eliminate and Empower, Enhance, Escape, Inspire and Be at peace Every word is powerful when we understand and follow it, a lot of stress comes down, I am still in the process of empowering myself, thanks for sharing, appreciate you !